We understand. A furnace is one of those big-ticket items that we all hope won’t quit on us, especially when we need it most. However, we know better. Furnaces have a tendency to break down when we least expect it. And all too often, it’ll happen when you first switch over your thermostat in the weeks before or after the holidays, meaning you could be out of a lot of money at the least opportune time. (Seriously, is there such thing as a good time?) That’s why Reliant Air Conditioning is here to help you catch potential problems before they start and help you establish a plan for replacing your furnace or providing professional furnace repair when you need it most. If you’re paying close attention to your system, here are a few common issues you may notice that signal that your furnace is failing, or soon will. You’re likely familiar with that mysterious burning smell when you first turn on the heat. Never fear; your home isn’t catching on fire. In most cases, this odor will go away after a couple of uses, as it’s just your furnace burning off simple dust and debris that has accumulated while it remained dormant during the summer months. But if you notice a smell that’s unusually bad or doesn’t go away in time, it’s time to give Reliant a call. In the worst case scenario, carbon monoxide can be at play due to a gas leak, which is why we strongly insist on detectors being installed throughout your home. As a matter of fact, we want you to change the batteries while you’re thinking about it. HVAC systems are no strangers to weird noises. They’ll sometimes thump and bump, but it’s a bad sign if these sounds are persistent. 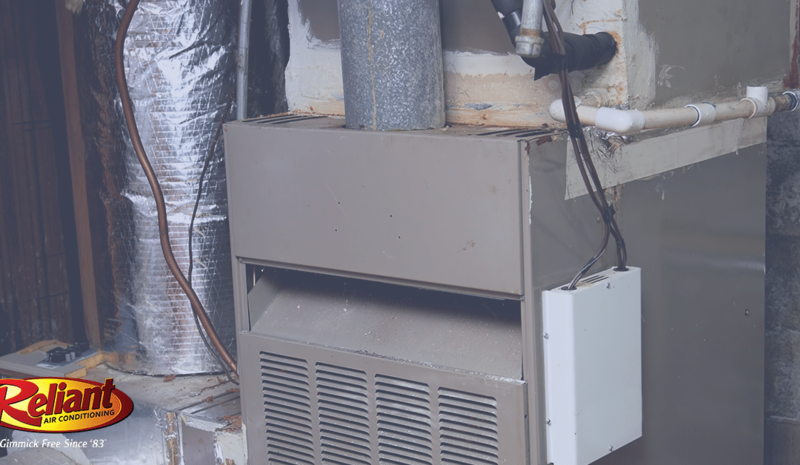 If you notice a particularly disturbing sound coming from your furnace, it could be a sign that it’s trying to quit. Squealing, grinding, and clicking are pretty much never good sounds to hear. You could just need simple HVAC repair, but it might also be time for a replacement. Heating and cooling your home can be a battle of keeping your home comfortable, especially when the weather is behaving wildly. But if your system is performing as it should, you shouldn’t be experiencing this issue long-term. Your thermostat could be to blame, but it could also be your system. If you try a new thermostat and your comfort issues don’t quickly resolve, contact a professional to take a thorough look. We’ve said it before, and we’ll say it again. Furnace maintenance is your best defense against an unexpected system breakdown, and nobody does it better than your local HVAC Dallas heating and cooling heroes at Reliant Air Conditioning. Our heating maintenance professionals are equipped with the latest in diagnostic technology to ensure that we are able to seek out and identify potential problem areas before they cause trouble, and we always provide a comprehensive furnace maintenance report to our customers so that they know exactly how their heating system is performing. If any issues are found, our furnace repair team can usually take care of everything in the same visit. What are you waiting for? Give us a shout by clicking HERE.